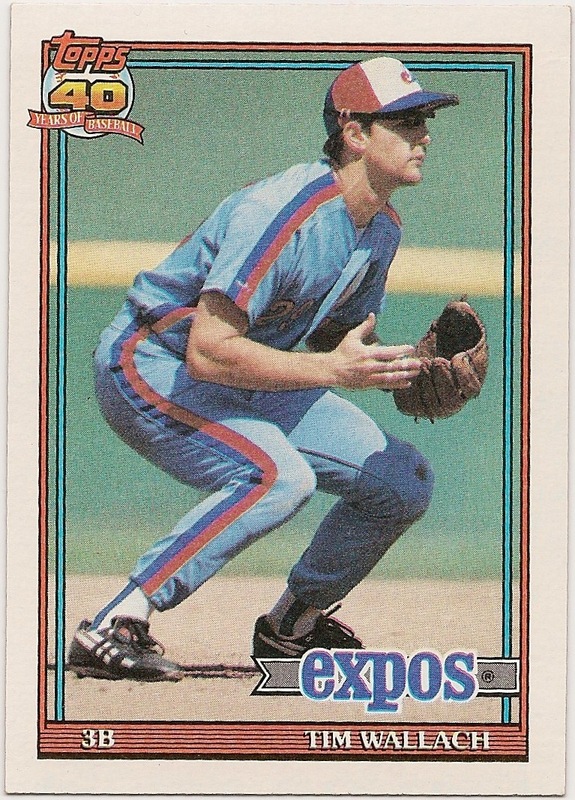 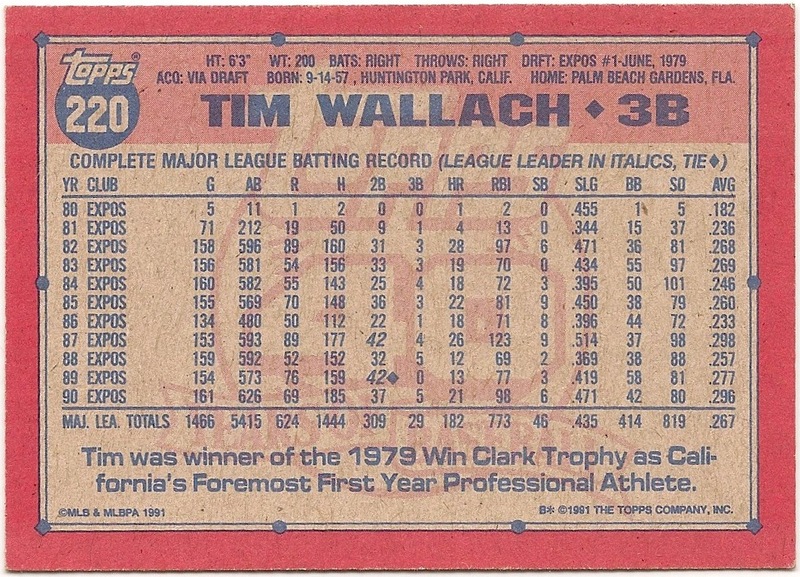 Card Review: 8.7 A solid but unspectacular card for the Topps base card Wallach issue of 1991. I consider 1991 the last "real" Topps set, as from 1957-1991 the basic design was unchanged. 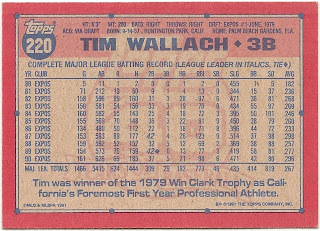 In 1992 they switched to white card board stock, in 1993 they went glossy on the back, and by 1995 the basic card was lost forever.